Cottage Garden Mugs are an exciting addition to a collection with a twist. Using our Aynsley patterns we have reinvented them using daring colours and contemporary placement. 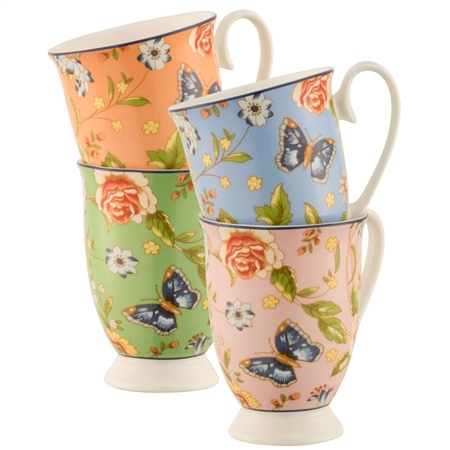 These footed mugs are part of the Cottage Garden Range and come in 4 stunning colours. They are ideal for afternoon tea and making an eye catching statement.